Seasonal Mattress: Did you know they exist? Synopsis: It’s perfect for the summer months, keeping you nice and cool. It also knows how to keep you warm in the winter as well. You know in winter when you’re all nice and warm in your snug, lovely, toasty bed. It feels wonderful doesn’t it. Yeah, then summer comes and suddenly you’re sweating, tossing, turning, trying to get a few hours of sleep before another roasting day in the office. Yeah, seasons change, and sometimes for the better. When it comes to your mattress though, there is something you can do about it. Introducing the seasonal mattress, a kind of jack of all trades, know it all sort of mattress. It’s perfect for the summer months, keeping you nice and cool. It also knows how to keep you warm in the winter as well. You think this is some kind of magic? Well it isn’t, all you’ve got to do is turn your mattress around once a year! So, how do they work then? They’re basically two mattresses in one. On one side it will be designed to get you through the winter period. Filled with wool towards the surface, it helps to retain heat. Through the summer months, the cotton coolside will keep you feeling fresh and comfortable through those warm and sticky nights. They sound expensive, are they? They’re certainly aren’t as cheap as their regular counterparts, but you’ve got to remember they’re two mattresses in one! You get the luxury of sleeping safe and sound whatever life throws at you. 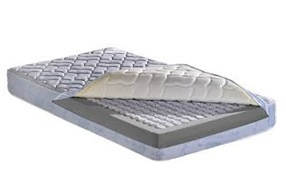 All it takes is one easy flip and you’re on your way to a night of comfortable, relaxing sleep. What if I can’t afford a seasonal mattress? One way around this though is to find a mattress with cotton fillings and just buy two duvets, a summer one and a winter one. Take a look at these duvets and find with one with a low tog and one with a high tog then you’re set for the seasons ahead! Now that’s cheating the system a little.